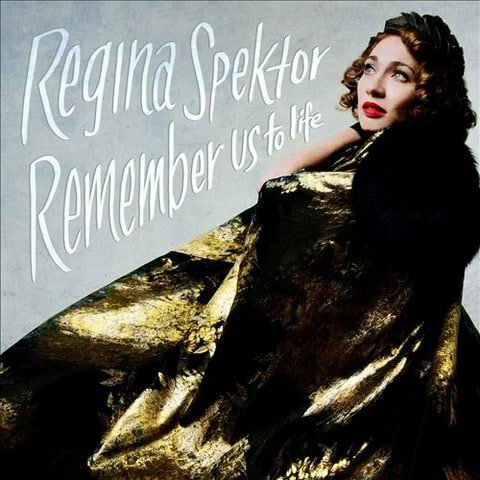 Remember Us To Life is the seventh studio album by Regina Spektor. It is composed entirely of all new songs recently written by Spektor, a change from past albums when she would record songs written throughout her career. Spektor gave birth to her first child in 2014 and she spent considerable time writing during and after her pregnancy. Says Spektor "I made more art and felt more inspired than I had in a long time." Remember Us to Life is possibly Spektor's saddest and most reflective album to date; the themes of youth, remembrance, and the not-always-helpful advice of the old to the young resonate poignantly throughout. The album brings mix of encouraging, upbeat pop (“Bleeding Heart”), heart-rending ballads (“Black and White”), and nearly-spoken poetry (“Sellers of Flowers”), among other styles.